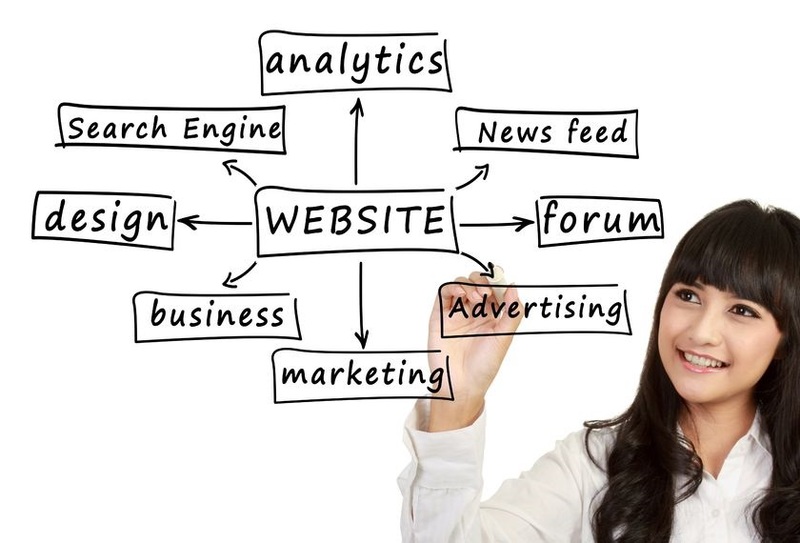 Businesses need a good online presence and for that they need a website. A website is not just pages upon pages of content that talks about your services and products; it’s a place to interact with your customers and visitors and engage them with your brand and business. This is your virtual front door from which a visitor might enter your business or walk away without coming inside. To ensure that a high percentage of visitors are converted into customers, you need to think of it like baking a cake. You need to have the right ingredients in creating your website. The following “ingredients” are aspects that you must consider to ensure that your website is a successful venture. Using new technology, displaying videos and images and showcasing web applications never means you have to let go of simplicity. Hire the right designers and developers so that your website remains simple, even with lots of features and web applications. There should be content on your website but the white space must not be missing too. Don’t overstuff the website or display what you think your visitors can benefit from. Everything should be vividly visible in its place. User friendliness and ease of use with a website comes from using good developers. Will your visitor be able to return to the home page of your website after he’s clicked on other pages within your website? Breadcrumbs, a clickable logo and a separate home page button are some examples of making your website user friendly. Design your website intelligently. Should a page open in the same tab or a new tab when the visitor clicks on a link, is also of importance. In short, the visitor should know where he/she must go to access what they need without having to figure out paths and routes on your website. Keep your web pages light. This instruction should be given to the developers as well as the designers. The longer your website takes in loading the higher the bounce rate of your visitors will be. Put small but clear icons and images on your pages rather than huge ones. Use the lightest media players to play the videos on your website. Don’t let visitors feel that their time is being wasted. Keep your brand alive and promote it through your website. The colour contrasts and combinations should coincide with your brand colours. The language on the website should also go with the type of business you have. For example, keep the language energetic and enthusiastic if you are selling sports apparel and goods. Be precise and give visitors the information they need. Remember that your visitors have hundreds and thousands of other options and it will not take them more than 5 seconds to land on another website. Sound informative in your text. Make sure your sentences and paragraphs are not sounding as if they were sales pitches strung together. The content should be interactive as well, with some call to actions and question marks. Think of ideas to make your website creative and unique. Let the visitors know that you mean business and you are serious about it. Introduce web applications to help your visitors distinguish, decide and design the products. A few flashy effects will do no harm as long as it doesn’t slow down your website and customer’s shopping. All of these elements are possible when you have chosen the right website developers and designers. Just as you would use the correct ingredients to make a cake rise, so too should you include the above elements in your website design. Central Coast Web Design focus on all these elements to ensure that a customer’s website will stand apart from the rest. If you are interested in making your website rise to the forefront of you industry - email us or call Central Coast Web Design today!